The beginning of this past August, we sponsored and attended the 3 day Flavor Experience Conference in Newport Beach, California, where we were surrounded by top culinary professionals, chefs, mixologists, and restaurant executives. Shuffling in and out of workshop seminars, presentations and tastings segments, we took the time to listen in to what people were saying about our Microgreens and Edible Flowers. Tuning in, we were delighted to see that our Buzz Buttons™ lived up to its name and created quite the buzz! Attendees reacted very well to all these beautifully garnished drinks. In particular, Buzz Buttons™ garnished cocktails. When Mixologist Tony Pereyra threw a few over prepped glasses, we overheard people taking some interest. “Wow! What are these! ?” was the common question when they had a chance to taste them, intrigued by their surprising affect. Their reactions and response was well-received. According to tasters, “the Buzz Buttons really make drinks exciting and different.” It adds that perfect mouth tingling/numbing sensation, and a a hint of citrus, which works well with any cocktail. 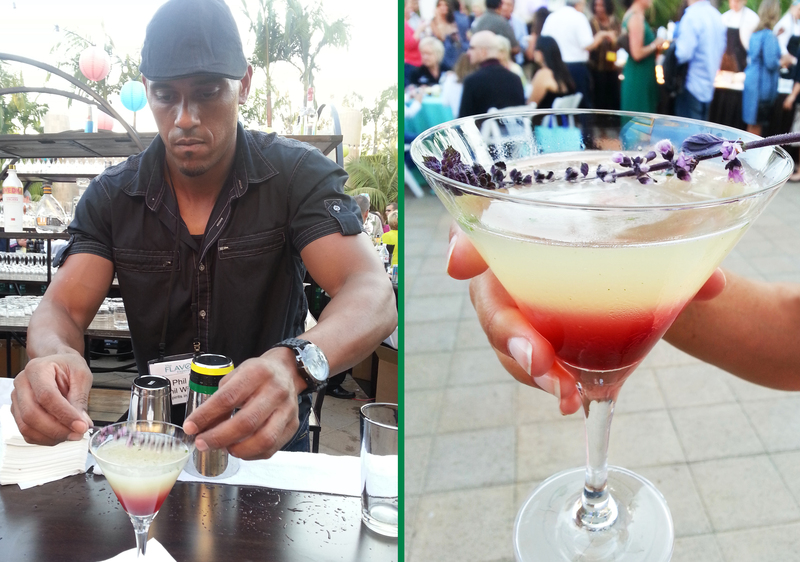 During the evening parties, we were very fortunate that our Mixologist/Consultant friend were using our products. 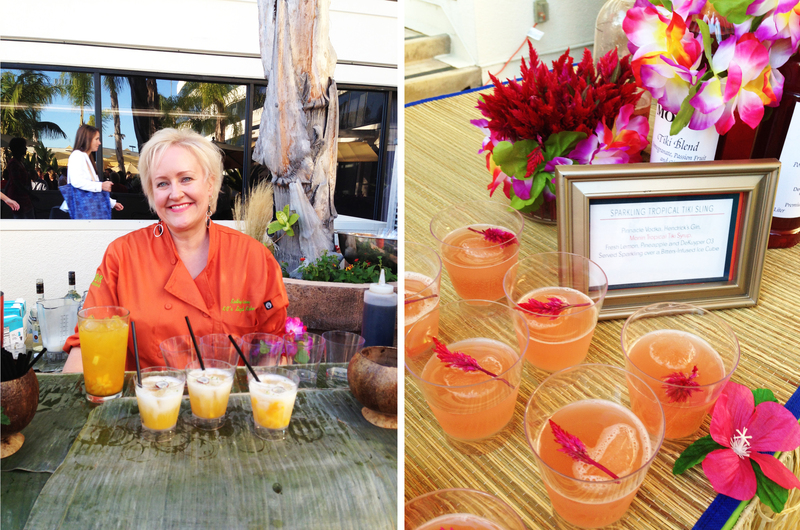 Mixologist/Chef Kathy Casey from Kathy Casey Food Studios® used our Edible Flowers Firestix™ and MicroFlowers™ Micro Orchids to add a wonderful finishing touch. Mixologists Phil Wills & Tony Pereyra of The Spirits in Motion, used our Edible Flowers Sparklers™, Basil Blossoms, Firestix™, MicroFlowers™ Marigolds, Lavender Flowers, and Buzz Buttons to add flavor and uniqueness to their cocktails. The man behind Commer Beverage, David Commer used our Crystallized Violas as a lovely garnish. The feedback relayed back to us, by cocktail drinkers, was phenomenal and greatly appreciated! If you’re interested in trying out Edible Flowers like our Buzz Buttons™ and other fun drink ingredients, check out our Summer Cocktail Instagram Contest! Enter and you’ll have the chance to win our Fresh Mixology Kit!